You’ll love this. No artistic talent needed, no real skills. Just wax paper and a printer! Well, there’s a little more to it than that, but not much. 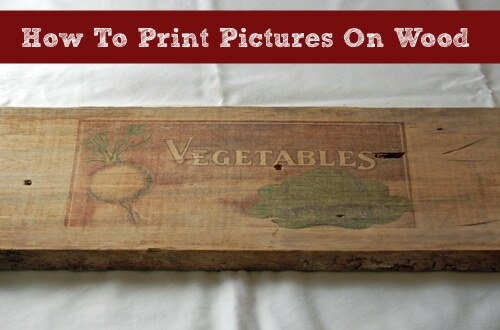 Here you’ll learn to print just about any image and transfer it to any smooth, wood surface. Got a favorite photo? Or maybe an image off the net you’ve always loved. This will work!